There’s this common belief that pharmacists are pill-pushers, but that’s not really true. 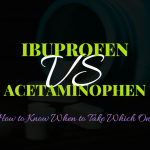 Sure, I’m no stranger to the occasional ibuprofen, and I won’t shy away from medicine if I think I need it. But only in moderation or when other options aren’t available or aren’t enough. 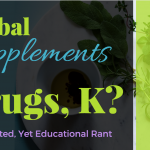 When I had my now-14.5-month-old son in 2016, I had no desire to give him medications unless he absolutely needed them. He got the standard Vitamin K shots, eye ointment, and Hepatitis B vaccine in the hospital after he was born (I wrote a post about whether these 3 medicines are really necessary). We also gave him Enfamil Vitamin D drops off and on for a few weeks once he came home from the hospital. Over the next few days, we figured out that he was extremely gassy but had trouble getting it out. The leg circles and tummy massages only helped so much, so we gave him simethicone drops occasionally as well. They were especially helpful at night when he couldn’t get comfortable enough to sleep. They made sleep possible (at least for brief periods of time until he got hungry again). 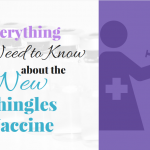 I first heard about Zarbee’s in some of the mom forums I would scroll through during never-ending breastfeeding sessions in the wee hours of the morning. When people would ask for advice on how to relieve their baby’s cold symptoms, Zarbee’s always came up. I didn’t pay much attention to those posts since my little guy hadn’t been sick. But then, when the little guy was 8 weeks old, he started daycare…and that. all. changed. Within the first week, our perpetually healthy baby became a perpetually sniffling, runny-nosed, sneezing, coughing sack of snot on two legs. Nighttimes were the worst. He would get so stuffy that he couldn’t stay asleep. And of course, we were worried about whether could breathe well enough. I learned a few tricks to help make him as comfortable as possible, and I still use them to this day. I got this cool mist humidifier as a baby shower gift. Top 5 Most Helpful Gift Ever! I use it in little guy’s room EVERY single night no matter what. I even bring it with us if we travel for an overnight trip. It has an on/off nightlight and 2 different mist levels. I set it to low on a normal night, and high on a night when he has a cold. I put this crib wedge under his mattress when he’s congested so that his head is elevated. 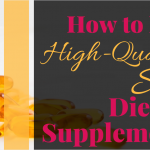 Originally, I bought it to help with his reflux and tummy issues (which it absolutely did! ), but it’s also great for keeping his nose from becoming so stuffy at night. If he’s extremely congested, a productive Little Remedies saline drops + NoseFrida nose-clearing session works wonders. Yes, it’s gross. There’s no denying that. (I suppose as a parent you should either be used to or get used to doing gross things *shrug*.) BUT it is oddly satisfying and it works like a charm. I would argue NoseFriday is the best $20 I’ve ever spent. As you can see from the list I shared, Zarbee’s was not in my cold-fighting arsenal at first. I was late to #TeamZarbees, but I quickly discovered what the hype was about. Around his 1-year birthday, the little guy developed this cough, and my usual tricks weren’t enough. I decided to give the Zarbee’s Cough Syrup a try. He went from coughing for 20-30 minutes at a time at night, to maybe coughing for 2-3 minutes, if that. Most times I give it to him, he doesn’t cough at all. He just sleeps quietly, like a peaceful little angel. Not to mention, he actually gets excited to take it. I think the sweetness of the dark honey makes it tasty. I even have to hide it from him or else he’s ask for it as a snack. But the best part is that the ingredients are not medications. 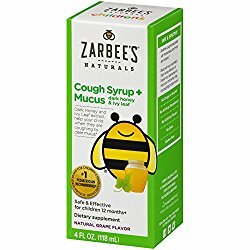 The active ingredients in Zarbee’s cough syrup = dark honey, Vitamin C, and zinc. That’s it! I think people tend to get carried away with the term, assuming that all things herbal are “natural” (not true), and assuming that all things truly natural are safe (also not true…anthrax is “natural”, for example). My point is…I love that Zarbee’s Cough Syrup contains “normal” ingredients, not drug ingredients. That means a lot to me as a mom. Now as a pharmacist, it wouldn’t be right for me to talk about the pros without mentioning the cons. In reality though, there isn’t much negative to say. The one drawback is that I have to be very careful not to give him the whole dose at once since the honey can be a little intense. Something minor is that it’s hard to use a syringe to get the medicine out of the bottle once the amount of medicine in the bottle gets down to a certain point. It would be easy to pour out into a spoon or medicine cup, but for babies and small children, it’s best and safest to use a medicine syringe like this one . Otherwise, I’ve had no issues with the product. The day will probably come when I’ll try some of Zarbee’s other products as well. They also have products for infants that contain agave instead of honey, since honey isn’t safe for children less than a year old. You can learn more about the Zarbee’s brand here. Moms and dads, have you ever tried any Zarbee’s products? What did you like or dislike about them? I haven’t used many Zarbee’s products. We used Zarbee’s vitamin D drops when ours was an infant with no problem. We tried the Zarbee’s multivitamin when he got older, but he didn’t like it. If you fight with yours to take a multivitamin, if you guys are even interested in that, I highly recommend NovaFerrum multivitamin with iron. Also, I co-sign all of these baby products being hard to get out of the bottle with a syringe when they start running out. When we get to the bottom, we pour a little into a medicine cup and use the syringe to draw it out of there to make it easier. NovaFerrum – We haven’t used a multivitamin thus far but will definitely consider that one for future reference.